I'm a Project Manager and member of the Project Management Office (PMO) at Web Essentials. My goal is to create processes that help project teams take action rather than spend time talking about how to. In this post I will tell you how to easily visualize your processes using my 5-step methodology. My obsession with data visualization and healthy love of logic! A clearly defined business process helps to get things done because it is clear how it's done and who is responsible for it in order to get a successful outcome. As an Agile company, aren't processes the enemy? Our development teams solve issues ad-hoc, an approach that gives them the freedom and agility they need to deliver better products. Web Essentials Scrum teams are a process-free zone. Across the rest of the company, we're an open and communicative bunch, and addressing issues directly is our preferred way of working. But sometimes, mostly in a cross-departmental context, a persistent problem can generate a lot of frustration and confusion. The time that team members invest in finding the answers to "what", "how" and "who" could be spent getting real work done instead. I call this scenario "lessons never learned". It's important to know it's (really) easy to create inefficiencies with set workflows. But it's also important to quickly identify when a persistent issue is causing problems. If you see the problem is too complex to tackle ad-hoc then it's time to try introducing a process. At Web Essentials my 5 step process improvement methodology goes like this: Analyse, Plan, Execute, Roll out and Maintain. Using a process design methodology makes sure you don't forget any important steps. This methodology is based on the Plan, Do, Check and Act (PDCA) cycle model for business process management. - Identify input (initial state): information or material needed to start the process. - Identify output (final state): what we actually deliver. Actors: define participants in the process which are executing actions. Stakeholders: the person with an interest or stake in the process. Owner: process owner who has the ultimate responsibility for the performance of a process in realizing its objectives and has the authority and ability to make necessary changes. - Compile input and ideas together to come up with the most efficient and balanced approach for all actors and stakeholders. - Define the actions needed and the actors of each. This is where we sketch it out. In Web Essentials, we use Confluence for our documentation, and the plug-in draw.io become my lifesaver. 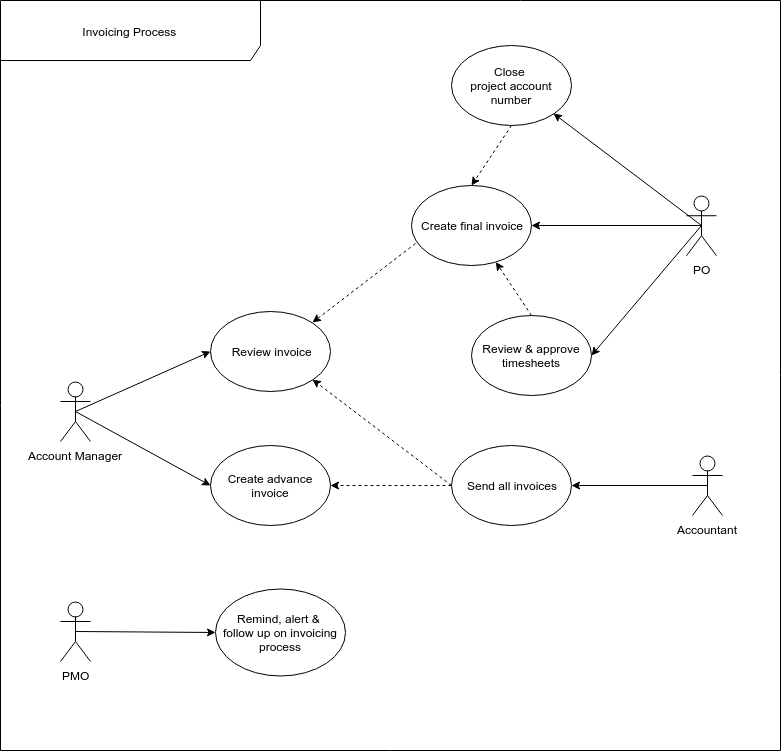 I use draw.io to draw use case diagrams and UML (Unified Modelling Language) activity diagrams to visualize the process flow solution. - At this stage it is really important to keep in mind that process is created to help workflow and efficiency. That means keeping action and review steps to a minimum! Processes should remove hurdles rather than add them. c. Approval: Once I get the green light from the process owner, I can change my document status from "Draft" to "Approved". This now becomes the official documentation of the process for people to follow. a. Provide training: Gather everyone involved and present the approved process. Explain the steps and their role and responsibility to make sure that everyone understands. b. Provide support and assistance: Implement the process and guide actors during the first execution of the process. Although the process has been approved, I cannot neglect this step. It's important to make sure that the process is active. A rule that is not followed is a waste of everyone's time. - Now is the time to test if the process had made the situation better or worse. - The best case scenario here is that the process is on track, the outcome is reached and everyone is adapting to the new workflow. 1) is the outcome reached? 2) is the process being followed? - Gather feedback from actors, stakeholders and the owner. - Make sure that the process is being followed and report feedback to the process owner. b. Consolidate feedback: Frequently consolidate feedback from involving people. c. Implement improvement: Implement improvements based on feedback and KPI performance report. d. Maintain ownership: Make sure that actors, process owner and stakeholders take ownership of their responsibilities. I mostly help with cross-departmental processes because they are the most in need of alignment. 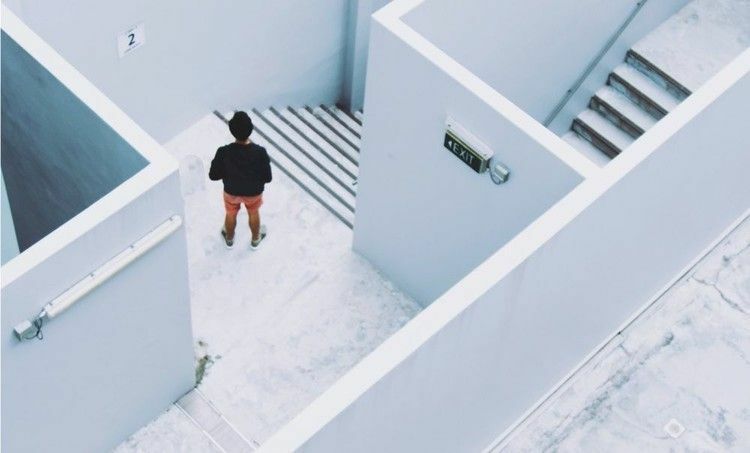 Each department has different goals and KPIs and in order to work together smoothly, they need to find the intersections and where to compromise. All three departments are crucial to the successful outcome of a paid invoice but they each don't have the information needed to complete the process. The Account Manager knows the contract details (price agreement) but not what percentage of the work has been completed. The PO knows what work has been done but is not as familiar with the contract details or privy to all discussions between the Account Manager and client. Finance needed the information from both to get the payment processed. The Problem: The task of invoicing the client was being pushed back and forth between departments: PO was waiting on the Account Managers and the Account Managers were waiting on the POs. Finance was chasing both. The Solution: A clear workflow around a central "income sheet" to control the crucial information all 3 stakeholders needed to create, confirm and process the invoice. Here is the diagram we sketched out at the "Execute" stage based on our discussions during "Analyze" and "Plan". We knew our actors and had suggestions for the steps they should take. Now it was a case of visualizing these steps and how they interrelated. The use case diagram maps out the actors in the process and each of the use cases (actions or steps to be performed) and who will perform them. 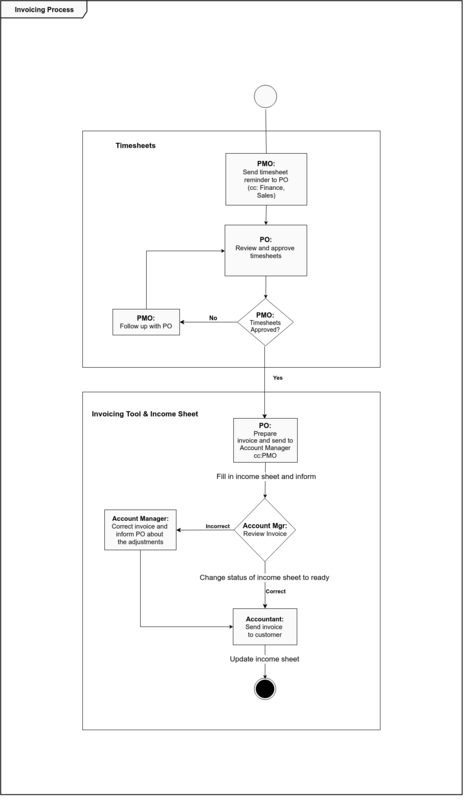 The below activity diagram is from the same invoicing proces. We use UML (unified modelling language) as for our business process modelling at Web Essentials. As you can see, the diagram outlines clear tasks, where they take place, how they are done and who is responsible for each. I get a real kick out of creating useful process flow charts that untangle communication lines and take the organizational load off my colleagues. If changes to the process are agreed I can quickly use the draw.io tool to adapt and update the process in the central documentation. A note: when you are doing business process modelling, be careful not to fall into the trap of "analysis paralysis". The 5 step method support an agile workflow. It is better to work iteratively and release your activity diagram early on for feedback and improvement iterations together with your team. In the 2018 BPTrends State of Business Process Management survey, 93% of the organizations surveyed are working on multiple process improvement projects. A culture of process improvement means actively looking for areas where we can improve processes or define unclear processes. Proactivity rather than reactivity is the key. 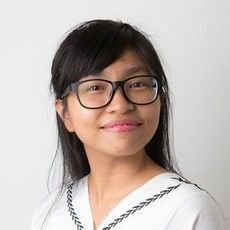 At Web Essentials, issues can be raised to me at any time, but the dedicated slot in our PO meetings for workflow issue discussion keeps us aware of bottlenecks and focused on how to improve. A culture of business process improvement is also about inspiring confidence in and creating a positive attitude towards change. This is where as a process creator you need to work high level and prove yourself as a help not a hindrance. My colleagues know if they raise a workflow issue with me it will be handled using a proven methodology - but above all - a logical perspective. Avoid over-design: make your processes easy to follow and remember the product is the process outcome, not the process itself! The future is automated. Investigate how increasing the level of Business Process Automation could increase your efficiency and give you a better foundation for analysis of your current processes. For a deep understanding of the state of the BPM market, the bi-annual BPM trends survey is a great one-stop resource. You can download the 2018 version on their website, and the 2016 version is available here. Want to take the next step and automate your processes using business process management software? Talk to us today! Linda has a background in Accounting and Finance but is also a talented artist and a master of data visualization. For her it's diagrams first, words second. This balance of creative and analytical means she can quickly break down complex processes into their most essential form. When she's not managing projects or processes you'll find her painting original wall murals all over town. Her creative streak and love for teamwork and organization also makes her a really valued member of Web Essentials innovation committee.